Home Anime Run Run Super V: Just another endless runner? 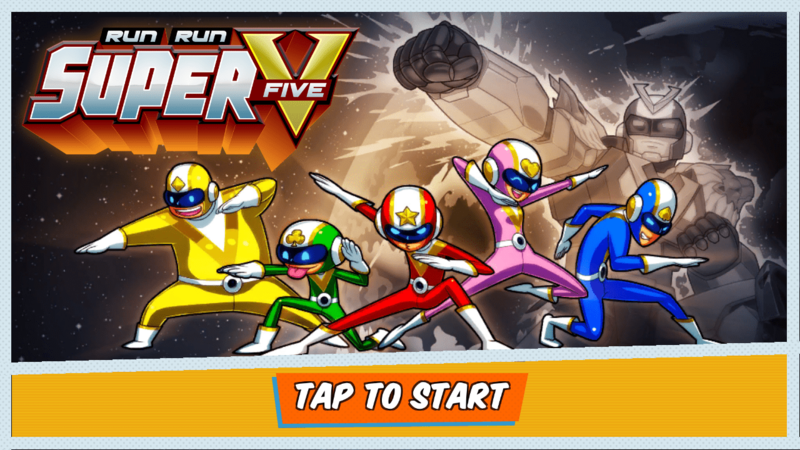 Run Run Super V: Just another endless runner? With the traffic situation turning major roads in Metro Manila into parking lots, it’s important to have a game or two on your phone to help ease the road rage and pass the time as your car crawls to your destination. Note: Please don’t play games while you actually have to pay attention to the road. 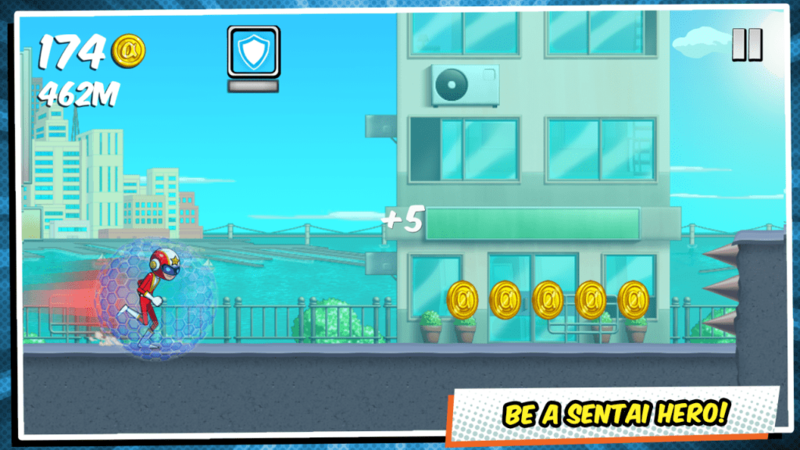 Philippines based mobile game studio, Altitude Games, might have the answer to quell the traffic woes or any situation that may require you to kill time with their first game, Run Run Super V.
Run Run Super V is an endless runner. Now, we know what you might be thinking: “Another endless runner?” We’ve seen them all, right? Wrong! Altitude Games puts a new spin on a great game genre we’ve all come to love (or loathe, depending on how easily frustrated you can get). But, what makes Run Run Super V stand out in a crowd of endless runners available on Google Play? If you were a kid when afternoon TV was ruled by mask wearing, colorful tight clad, giant robot riding teams were all the rage, then you will absolutely love the Sentai theme Altitude has given their game. Run Run Super V puts you in the shoes of one of the five sentai heroes as you run the streets collecting coins while you bop foot soldiers on the head or use one of the many power ups available to defeat them. It all sounds like your typical, vanilla runner up to this point with a snazzy sentai theme slapped on it but there’s more! All that endless running is not for naught. 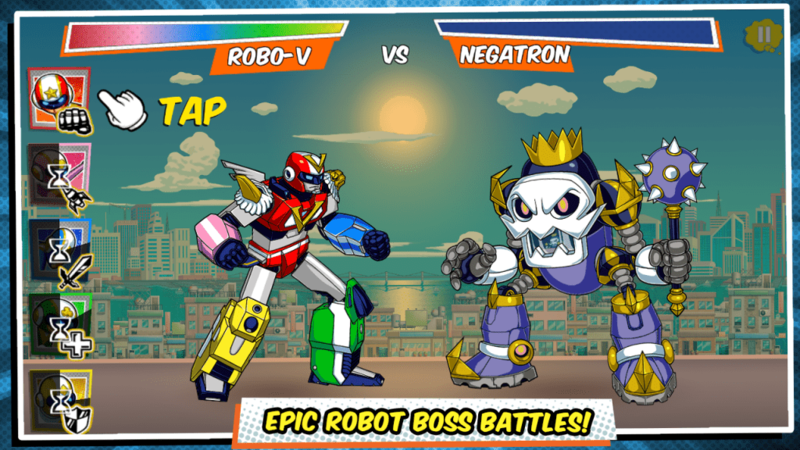 One more thing that sets Run Run Super V apart from other endless runner is its boss system where you get to take the reigns of the Sentai Giant Robot and clobber, slash, blast away at a rampaging Boss Monsters. In this mode, you get to unlock more abilities for your robot as you go and trust me; you’re going to need them. We’ve found ourselves in the edge of our robots control chair where we’ve found ourselves in sticky situations in these boss battles. Absolutely. First of, it’s free on Google Play, so there’s nothing to lose (Except maybe some time if you get really hooked on this game)! We’ve already sunk in an hour or two before writing this and we only got the game this morning. Kudos to the men and women of Altitude Games! Sentai Theme = Win! What an awesome throwback and even a little homage to the great Voltes V with the logo. We see what you guys did there, Altitude Games. Boss Battles. While the mechanics were simple enough to get, you can’t just mash skills and wait for them to go off their cooldown timer. Employ a little strategy or you’ll see yourself repeating a boss battle or two. There is a little delay in the response of taps and swipes. It’s not enough to deter us from playing, but it’s definitely noticeable.